John 3:16 is an amazing verse, spoken straight from the mouth of our Lord Jesus Christ. But is it becoming so over-familiar that you are at risk of losing the wonder contained in it? 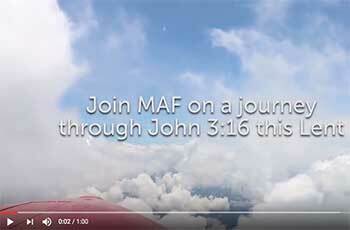 This Lent, INSPIRE partner MAF invites you to join in as they delve deeper into John 3:16 through a short series of short weekly reflections. Let's pray that its truths will stir our spirits afresh as we approach that time of year when we marvel at the greatest gift of love the world has ever seen: the sacrifice of Jesus. Watch the video above, and sign up here.